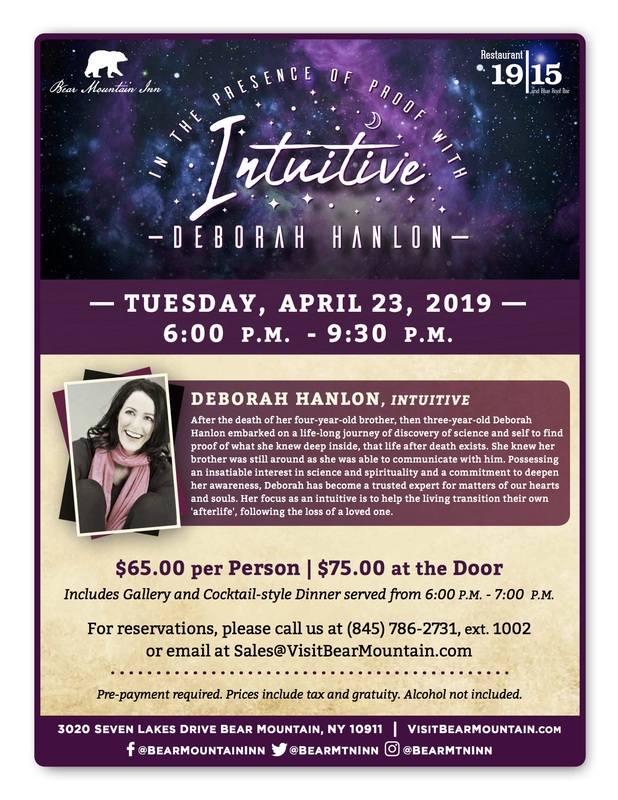 Join Deborah Hanlon for an evening of Intuitive Insight and connection with those on the other side, at Bear Mountain Inn on Tuesday, April 23, 2019. The evening begins at 6:00pm and includes a cocktail-style dinner, followed by the Gallery at 7:00pm featuring Deborah. $65.00 per person, $75.00 at the door. Price includes tax and gratuity with a cash bar available. Pre-paid reservations are required. Call 845-786-2731, extension 1002 or email sales@visitbearmountain.com.